Samsung announced at MWC, Level series, premium audio products that will be a new series of accesories from Samsung. Today, it became official. The lineup is formed by four products: Level Over, Level In, Level On, Level Box. Each of them will bring new sound quality, organic sound and style which will be the best experience from Samsung smartphone or tablets users. 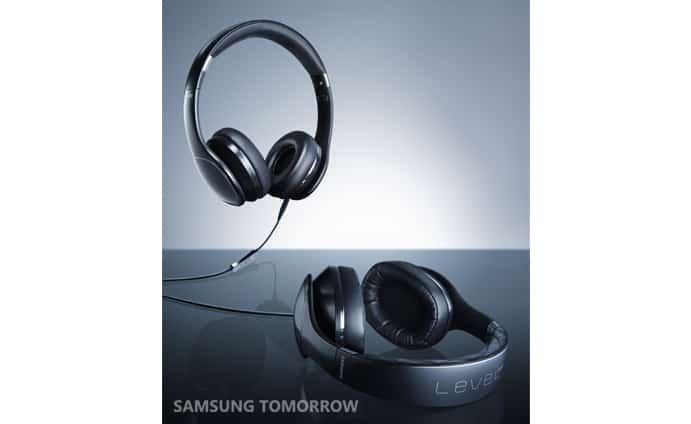 Level Over is the main product of them and is an over-ear handset which incorporates 50 mm speakers. It is wireless thanks to NFC, Bluetooth and aptX connectivity Through Smart Touch Control you could change the volume, or stop and play a song. It comes with S Voice support. Samsung Level is an app that will help you make some adjustments. Level On and Level In are the mid-range and the low version in the Level series. Both of the models come with a metallic finish, S Voice support and remote control. Both have 40mm speakers and come with Bluetooth. Level Box is a premium Bluetooth speaker with a 56mm high quality speaker. It features echo cancellation, noise reduction and built-in mic. The Level series will be available from the May in most markets. The prices for the Level lineup will be: Level Over, Level On and Level In will be priced at $349, $199 and $149.